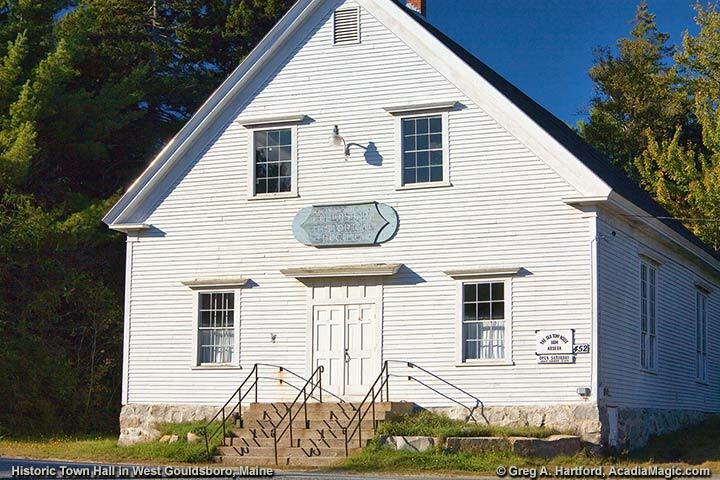 West Gouldsboro was the first village of Gouldsboro, Maine in what was then called the County of Lincoln. In 1764, the Commonwealth of Massachusetts gave land in this area to settlers Colonel Nathan Jones, Francis Shaw, and Robert Gould. Gouldsboro was later named after Robert Gould in his honor. The county was renamed to Hancock County on June 25, 1789. West Gouldsboro is located at the intersection of coastal U.S. Route One and Route 186 on the northwestern side of Gouldsboro Peninsula. 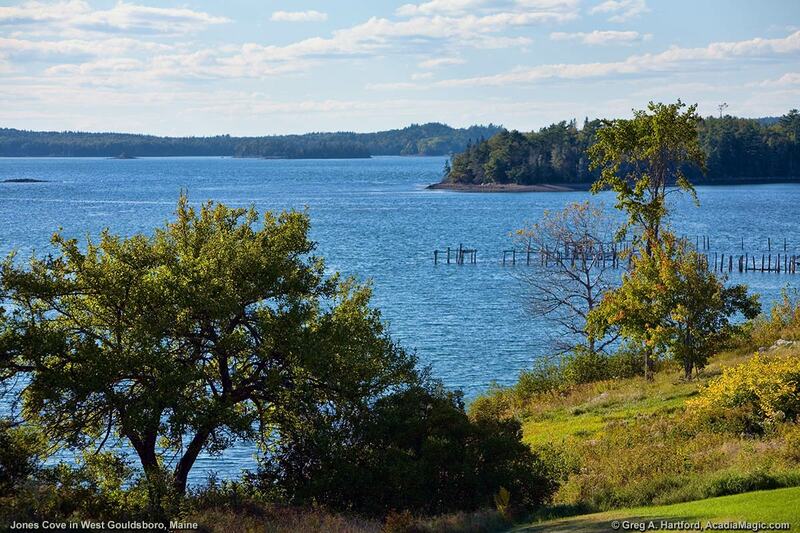 It is on the Schoodic Scenic Byway where you turn south toward Winter Harbor and Acadia National Park on the Schoodic Peninsula. It has water on both the western and eastern sides with Jones Cove to the west and Jones Pond to the east. 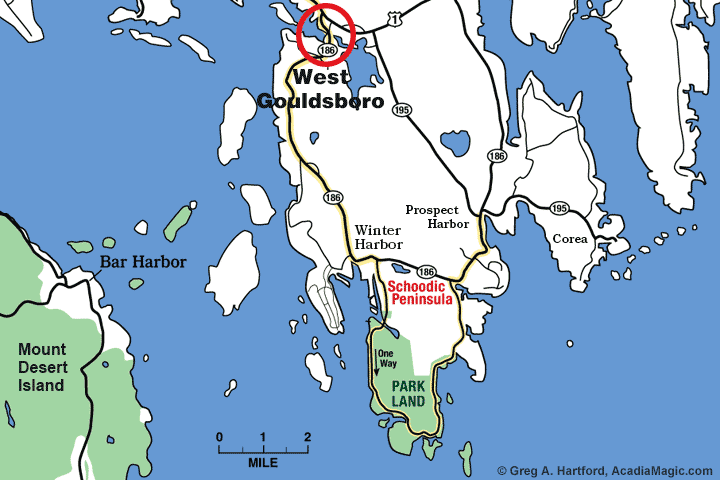 West Gouldsboro, along with the villages of Birch Harbor, Corea, South Gouldsboro, and Prospect Harbor, are all part of the municipality of Gouldsboro. According to the U.S. Census Bureau, the town covers a total area (land and water) of 100.8 sq. miles (261 sq. km) with 45.7% or 46.1 sq. miles (119.4 sq. km) of this being land. 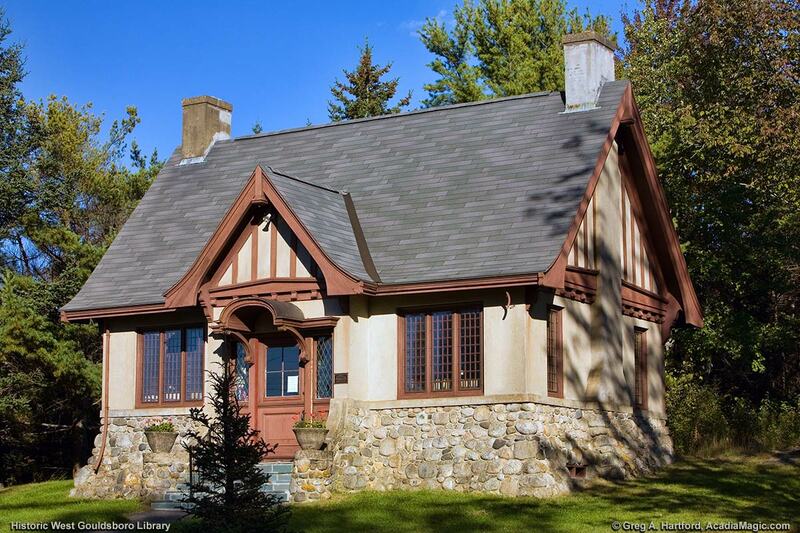 The history of Gouldsboro is very insteresting and significant in understanding much about, not only Gouldsboro, but this whole section of what is referred to as Down East Maine. Read the following. I am sure that it will be entertaining as well as contain a few gems. 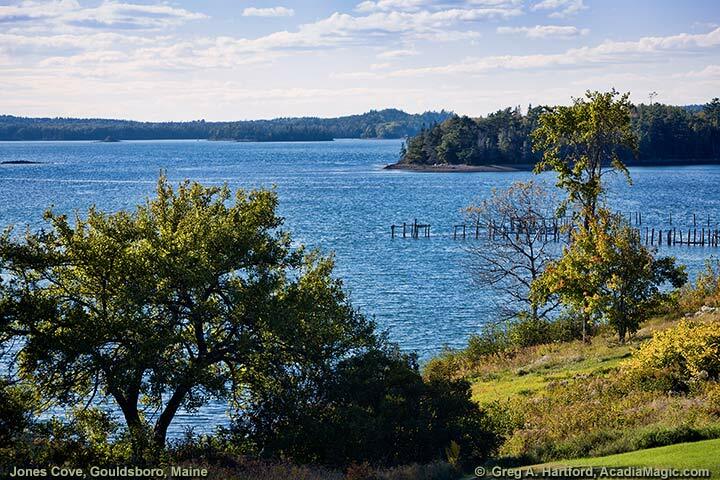 When I began exploring the Gouldsboro Peninsula, taking photographs of as many things as I could, and researched the locale and its history, I was struck by a deep reference that exists in this small coastal community. It gets expressed in subtle ways. One of those places that seems to meld several things at one time sits at a tiny little triangle at a crossroad in the Village of West Gouldsboro. It is easy to miss. There is a patch of green grass, what appears to be a sundial, and a plaque. This plaque, placed there in 1919, honors those who fought in World War One. The sundial was made by a well-known stone and granite artisan of the day named Eric Soderholtz. Eric was a photographer that moved to West Gouldsboro after marrying a woman that had a home there. He got into stone pot making after a failed attempt at getting plants to grow in the rocky Maine soil. He decided to try making planting pots similar to ones he photographed in Europe. Soon, his work was in demand and many can be seen today throughout the Mount Desert Island and Bar Harbor area. Soderholtz also worked on parts of the West Gouldsboro Library. A short distance from this spot are two historic places. One is the library that was constructed in 1907-1909. The other is the West Gouldsboro Union Church that was constructed between 1888 and 1892. There are many stories to tell.